Ron Morehead is renowned for his bigfoot recordings. His recordings have been dissected by skeptical journalist Al Berry, electrical engineer Dr. R. Lynn Kirlin and most recently by Navy crypto-linguist R. Scott Nelson. Mr. Morehead continues to make bigfoot news with his newest contribute to sasquatch research. He is shaping his quantum theory of bigfoot at his new bigfoot research website. His newest post aptly titled Quantum Bigfoot Theory stitches quantum theory, biblical references, familiar to Ancient Alien fans, into a tapestry tailored specifically for unveiling his own insights into Bigfoot. We all know of the different accounts of the great flood in ancient texts. According to some of these texts it was brought about because of the infection of the human genome (man, God’s special creation) by aliens, e.g. the Nephilim, half alien-half human. That being said let’s move forward to Isaac’s wife, Rebekah, and the twins she gave birth to. The first boy was Esau, who was red and hairy (Gen 26: 24-26). The second was Jacob, who was loved, but Esau was hated (Romans 9: 13)…why? As the story goes, Esau gave up his birthright to Jacob, eventually moved, and became the patriarch of a race of bearded, red-haired, nomadic people. Because of the ‘red’ they were called the Edomites (Edom meaning red). Recently one of my colleagues pointed out that the Edomites were depicted in Michelangelo’s painting of The Last Judgment, in 1541. At the bottom of the painting you’ll see the hairy Edomites in a cave…hmm, any connection? Now the big question; can two eggs in a woman’s uterus be fertilized by two different males at the same time? The answer is ‘Yes’. One in 400 sets of fraternal human twins is bipaternal (www.babycenter.com). So my theory, which is shared by a few others, is that an alien (Lucifer), trying to corrupt the human genome again, fertilized one of Rebekah’s eggs and Esau was the result. This would have created a human hybrid and Bigfoot just might be a remnant of that. HowStuffWorks.com has a video series called Stuff to Blow Your Mind. This video is somewhat current covering both Bryan Sykes DNA study and Dr. Melba Ketchum's DNA Study. Artist's reconstruction of two new Oligocene primates, the ape Rukwapithecus (foreground left) and the Old World monkey Nsungwepithecus (background right). "These discoveries are important because they offer the earliest fossil evidence for either of these primate groups," --Nancy Stevens, an anthropologist at Ohio University in Athens, Ohio. So more specifically, the fossils suggest the time when apes diverged from monkeys, or as I like to translate it, "when Sasquatch ancestors diverged from monkeys". Skeptics will prefer that I am not so definitive about the existence of Bigfoots and some bigfooters would prefer I not diminish Bigfoots' intelligence and culture by associating them to apes. In order to to dissuade both camps from criticism I'm just gonna say that a blog about Bigfoot is obviously hopeful that Bigfoot will be a recognized species and to non-apers, apes is a designation of biology, not a comment on culture or intelligence. Now we can get to the cool part and why this article is interesting. There was a gap in the fossil record and we really didn't know when monkeys and apes diverged. DNA research suggested it was about 25 million years ago, but we had no physical evidence that supported that. So this is a twofer; 1) we get solid physical evidence and 2) it supports what DNA had suggested. Due to the confirmation of what DNA can tell us, This finding makes us more anxious for what is store with Bryan Sykes Bigfoot DNA study and Future Bigfoot DNA studies in general. The fossil remnants of these two primate species date back to 25 million years ago, filling a gap in the fossil record that reveals when apes and monkeys first diverged. 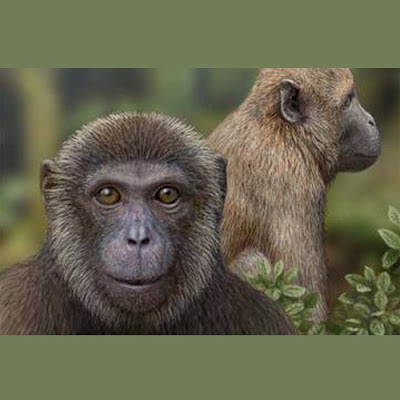 "These discoveries are important because they offer the earliest fossil evidence for either of these primate groups," said lead study author Nancy Stevens, an anthropologist at Ohio University in Athens, Ohio. DNA evidence has long suggested that apes and Old World monkeys diverged from a common ancestor between 25 million and 30 million years ago. But until now, no fossils older than 20 million years had been found. The age of the new specimens extends the origin of apes and Old World monkeys into the Oligocene Epoch, which lasted from 34 million to 23 million years ago. Previously, only three primate species were known from the late Oligocene globally, Stevens said. "These finds can help us to further refine hypotheses about the timing of diversification of major primate groups," Stevens said. "One is from Dave Paulides since he has put that out publicly and another from Mike Rugg since he has also openly discussed it." --Dr. Melba Kectchum Responding to where did the bone samples come from. Dr. Melba Ketchum announced she will be working on teeth and bone samples in pursuit of Bigfoot DNA. The technique she will be using is a technique taught to her from a Dr. Pat. According to Dr. Ketchum, Dr. Pat has never failed at getting DNA from bone and has developed the extraction techniques that have identified people for the military, including the soldiers buried in the Tomb of the Unknown. As a side note, anonymity of the entombed soldier is key to the symbolism of the monument: since the identity is unknown, it could theoretically be the tomb of anyone who fell in service of the nation in question, and therefore serves as a monument to all of their sacrifices. Symbolism is great, but families their fallen identified and post-Vietnam soldiers may never be unknown again. You can read about the last identified soldier in this Washington Post article. Getting back to Dr. Ketchum, she seems very excited about the techniques and makes a distinction between forensic scientist and academic scientist. Read an excerpt from her announcement on facebook below. [Dr. Pat] taught me the technique, but he has the wonderful robots that make extractions more perfect than I could ever do manually. He has never failed to get DNA from bone. Even manually his techniques are SO fantastic that I was able to get usable DNA from cremated remains in two separate cases (one cat and one human) and I never thought we could do that, especially without robots. We recently extracted DNA from some 2000 year old tissue and hair and got good results (DNA profiles) using these extraction methods without having to amplify the DNA (WGA) or make a "library" like they did for the Neandertal and Denisovan hominins prior to sequencing. We have one sample that is highly degraded bone and it will be interesting if this will be the first time this extraction technique fails. I am betting on getting DNA though. The academics could sure learn a few things from forensic scientists about extracting good DNA from minimal samples and also how to determine if there is really contamination other than just assuming that there is... It is so awesome! I gotta love science!!!! We actually know quite a bit about the tooth from Mike Rugg. It is a fairly large molar, decidedly primate according to Mike and was found in 2002 during a shark tooth dig in Scotts Valley, California. You can watch Mike Rugg talk about the toothe in the video below. CORRECTION: The initial version of this post claimed Dr. Pat has been responsible for identifying people for the military, more accurately Dr. Pat has been responsible for developing the extraction techniques that have identified people for the military. The post has been changed to reflect the correction. Bigfoot Lunch Club has been waiting for Dr. Melba Ketchum to contact us to no avail. It is a shame, without Melba Ketchum's input it is hard to provide a balanced take on her research. Today may be as close as we can get. Anthony Ciani tells us he was introduced to Melba Ketchum earlier this year, January of 2013. When he was asked to be a guest editor for the journal in which her paper would be published. Mr. Ciani brings up some interesting points based on Melba Ketchum's paper of which I've publish below. There are two clear possibilities for the origin of bigfoots: hybrid or mutant. The mtDNA is fully consistent with known human sequences (given a base pair or two). The maternal lineage is, without a doubt, H. sapiens sapiens. Even more interesting, is that the oldest mtDNA sequence found was from about 15,000 ybp, while the youngest was only a few thousand years old, if that. This means that bigfoots have been continuously splitting from or interbreeding with normal humans since about 15,000 ybp until rather recently. 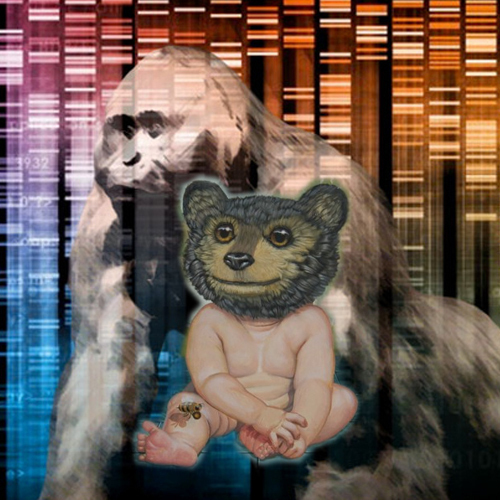 The problem with the hybrid idea is that if bigfoots are a cross between humans and some closely related hominid (Homo X), then they probably would have breed with Homo X, and we should find unknown mtDNA from Homo X; but there is not, at least, not in the bigfoots from which samples were collected. Some people might think that the Homo X chromosome 11 and human chromosome 11 should still be distinctly identifiable, but chromosomal crossover could have mixed them together, turning a heterogeneous hybrid into a homogeneous race. The other option is that bigfoots originated as a mutation from H. sapiens sapiens. We used to think that mutations occurred individually and slowly over time, but fossil evidence suggests that new species pop up fast, driven by gene pool isolation, and then stabilize with population increase. There was a global disruption about 15,000 ybp, and it is quite possible that bigfoots are cold-adapted humans. Given their physical features, they do seem to be dark skinned and negroid, which were the predominant human traits until about 6,000 ybp (when human skin color lightened in the north). Add in the hair and size, and you have a bigfoot. Throw in a bit of racism, and you have perpetual segregation. Given the broad range of physical descriptions, bigfoots may still be mutating. Bigfoots may have been even smarter in the past, and if Gerald Crabtree is correct, both they and us may be getting even less smart. Intelligence is not the objective of evolution; survival is, and evolution may have us all giant and hairy, running around in the woods. There are many possible models to explain Bigfoot origins and I feel [Anthony Ciani] has done a great job coming up with some ideas. Ideas are the easy part and sometimes Nature does not work the way we think it should, making it essential to examine all the possibilities by confronting hypothesis with data. I also point out that disputes over data and ideas are part and parcel of science, this is certainly not unique to Dr. Ketchum’s paper. If you ask a scientist whether they have had a paper rejected by a journal in an unwarranted manner, I feel most will admit to that and probably tell you they were furious about it as well. You move on, seek help if need be and try again. This is the norm. You can read Anthony Ciani's entire letter to Bigfoot Lunch Club below. In his post, "Ketchum Paper "Peer Reviewed" by Academic Professor", Guy Edwards stated that Dr. Ketchum had not responded by the time of publication. Considering there is no follow-up article, it seems she will not responded. 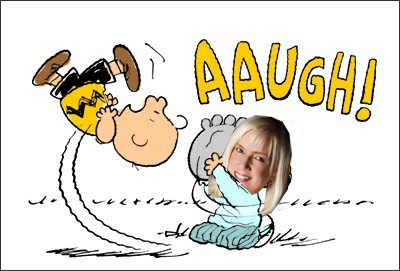 I am familiar with some of her work, including unpublished findings and the drama concerning its publication, so I thought I might take a stab at responding to Tyler Kokjohn's comments. 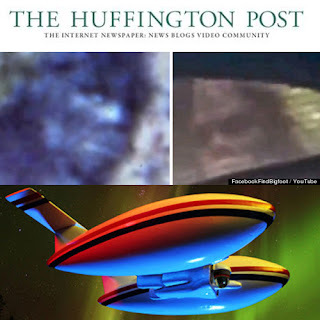 Kokjohn is quoted as saying, "if it was me who held solid evidence of a new species and a remarkable pattern of origin, I would be breaking down the doors of any mainstream scientists I thought might be able to verify my data." Knocking on doors is exactly what Ketchum did. Many skeptics have claimed that the "scientific community" would consider all good evidence seriously, but what Ketchum discovered was an abundant mix of knee-jerk ridicule and institutional cowardice, in both the attempted collaborations and in publishing the paper. The "scientific community" has been very childish in this endeavor. To verify parts of her work, Ketchum sent "blind" material to well established laboratories, and frequently received enthusiastic responses concerning the novel nature of the DNA, with researchers begging to be let in on its source; until she mentioned, "suspected bigfoot", at which point those researchers, so eager to collaborate, would run away while venting their anger. Even some of the reviewers, including ones reviewing for highly influential journals, treated the paper as a joke. Many of those who did review the paper dismissed it with hand-waving arguments, mostly based on the catch-all claim of contamination. Ketchum has even had difficulty in posting the sequences to GenBank. In order to post a sequence, there must be a taxon under which to post it. New taxons can be created, but must be approved by the NCBI taxonomy group. According to Ketchum, this group rejected the creation of a taxon for bigfoots, so she has been unable to post the sequences to GenBank. Perhaps she just talked to the wrong person? The most controversial part of the paper is Ketchum's speculation (emphasis) that bigfoots are a cross between human females and some unknown hominid. There is little data to identify the genesis of the bigfoot race, and Ketchum was originally loathe to make any speculation about it. The speculation was a response to a reviewer, who suggested that including an origin for the species would make the paper publishable. As Kokjohn notes, there are problems with the hybrid conjecture. Unfortunately, Dr. Ketchum can be far too stubborn for her own good, and she grew attached to the idea of a hybrid, so she left it in the paper, rather than remove it after the paper was rejected. She has even gone so far as to misread hear own phylogenetic tree, and has been talking about some possibility that bigfoots are a cross between giant lemurs and humans. 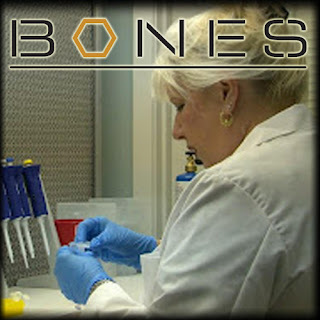 Ketchum is not a geneticist or evolutionary biologist; she is a forensic scientist. Kokjohn is correct, in that the hybrid hypothesis has problems, but Ketchum's paper was not about proving that bigfoots are hybrids. The paper was about proving that there is something unique and unrecognized roaming the woods, consistent with itself and nothing else, and the paper does exactly that. The hair morphology and nuDNA were consistent across samples, and different from human or anything else. Ketchum's work had the limited focus of establishing how to identify bigfoot evidence from DNA and hair morphology, not identifying what a bigfoot is or how it came about, and her first publication target was a forensics journal (which rejected the paper because it was too genetic and biological). Ketchum's results can point us toward the origin. For the nuDNA sequencing, Ketchum looked ONLY at chromosome 11. The sequencing technique used a universal primer and provided the entire, continuous sequence along the chromosome (junk and genes, straight down the string). What Ketchum (well, technically a geneticist collaborator) found was a mixture of easily identifiable human genes, slightly mutated human genes and unknown sequences, all on the same chromosome. The genes that are identifiable as H. sapiens sapiens do not show up at exactly their proper loci, and the junk sequences between them are poorly matched, but it is a hominid chromosome 11. I am uncertain where Kokjohn got the idea that Ketchum ever said the sequences have no homology, because she wrote, "all three samples showed homology to human chromosome 11." Most of the genes are there, but many of them are just slightly different, and a few are very different (assuming they are genes and not junk). The Melba Ketchum Paper is being reviewed, what do other academics think? We've read the Melba Ketchum Sasquatch DNA Study and found it was echoing many of the statements that had already been leaked. It wasn't really new news. To be honest though, how would we know? Fortunately we know people who would know. So we asked our friend Tyler A. Kokjohn, Ph.D., Professor of Microbiology at Midwestern University what he thought. You may remember the Dr. Kokjohn from the post, "First Bigfoot DNA "Peer Review" Results are In-- But, Not as Expected"
We pulled out some of Dr. Kokjohn's questions, but also provided the email from Dr. Kokjohn so you can see the questions in context. What happened to the original founder species? The Hybrids are abundant, yet the founder species is extinct? How could a hypothetical species so close to modern humans to interbreed and produce viable, fertile offspring not share homology to the same entities in their extended family? Where did the sequences not in GenBank originate? Unfortunately, this pdf does not include supplementary data, so it is really hard to figure out how much of this I wish to deem reliable. The authors will have to grant reviewers the ability to view the sequences and run their own analyses at some point. Under the circumstances, I can’t say any of it is convincing evidence of a new species. The authors proffer quite an interesting story; a male from an unknown species mates with a human female to ultimately establish a new hybrid species. But, based on the fact that they report finding 16 distinct human mitochondrial haplotypes in North America alone, such events must have occurred rather frequently and freely. Then I have to ask, what happened to the original founder species? NONE of them survive, but the hybrids are still extant? You would still think that out there somewhere would be some individuals harboring maternal mitochondrial DNA from the original species. That every one of them had only pure human mtDNA suggests a quite unique segregation followed and was maintained after the founding events, a minimum of 16 separate times. And all that human mtDNA remained unchanged no less. It is also hard to understand what they are asserting when telling the reader that sequences have no homology to extant apes, Neanderthal or other extinct species. Human sequences are amazingly close to Neanderthals, so nearly identical it was a challenge to tease them apart. How can there be no sequence similarity with the putative Sasquatch samples and/or what do they mean by that? 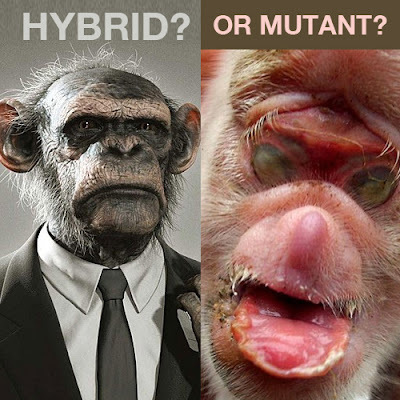 How could a hypothetical species so close to modern humans to interbreed and produce viable, fertile offspring not share homology to the same entities in their extended family? Where did the sequences not in GenBank originate? None of this makes much sense to me and maybe they will see fit to explain it all carefully some day. I just do not know, Guy. It is possible my colleague was able to get the ancillary data, so maybe she will have more to add. So, the good news seems to be that samples are remarkably abundant, suggesting that independent corroboration should be possible soon. All I can add is that if it was me who held solid evidence of a new species and a remarkable pattern of origin, I would be breaking down the doors of any mainstream scientists I thought might be able to verify my data. I would want that Nobel prize far more than another appearance on Coast-to-Coast AM. So verification should be coming soon, right? Dr. Kokjohn added, "I am not impressed with the data I have seen, but from that I draw no conclusions regarding the existence or non-existence of Bigfoot." It should be noted we reached out to Dr. Melba Ketchum to see if she had any insight to any of these questions; we gave her ample time to respond and she did not have a comment at the time of this post. The Huffington Post's Lee Speigle filed a report about the current state of Bigfootery from his limited perspective. We can give you the Readers Digest version. People are waiting for Melba Ketchums' Bigfoot DNA results. Facebook/FindBigfoot (FB/FB) have positioned themselves as video analysis experts and are claiming 2013 to be year of the Bigfoot. Finally, Idaho State University Anthropology Professor Jeff Meldrum supports a Bigfoot Blimp project. Each of these three Bigfoot news items (DNA, video, blimp) have encouraged great conversations and debates within the community. These items are not without concerns. Regarding the DNA, after 5 years there are those that are anxious for results. As far as FB/FB video analysis? There are those that feel FB/FB does not take into account the submitter of the videos, some known submitters are considered dubious at best. And the Bigfoot blimp? Some feel no matter how great the camera technology is (and it is really amazing, best of the best) a blimp may not be a practical way to navigate under a forest canopy. Despite these concerns, at Bigfoot Lunch Club we find these high visibility projects encouraging and innovative. As for most Bigfoot endeavors it is best to take a "wait and see" approach. Some interesting quotes from the article. "What's so amazing about this new video is how close the Bigfoot is to the camper's tent," Jack Barnes, chief video analyst for FBFB, said in a press release. "A Bigfoot usually maintains maximum distance from humans, but this one couldn't have been more than 25 feet away." "It won't be this big, ominous blimp cruising over the tree lines, but it will be this little speck at night that's painted black with some lights on top. It'll just blend in with the starry background," Meldrum said. "Most wildlife usually aren't as aware of things up in the air as they are of things at eye level and on the ground, and even if they did happen to glance up, they wouldn't take notice." If you wanna see some high quality, quick-witted Sasquatch video analysis, check out Phil Polings YouTube channel ParaBreakdown. Phil Poling does a great job keeping his analysis interesting (FB/FB can be dry and boring at times) and he always takes you through a logical structures argument. Yesterday (12-11-12), Robert Lindsay reported a leak from "someone close to the Melba Ketchum camp." In the report Lindsay wrote, "...Sykes agrees with Dr. Melba Ketchum’s Bigfoot DNA study that there is indeed a new hominid in North America. However, Sykes disagrees with Ketchum regarding the origin of this new hominid." UPDATE: according to Rhetman Mullis, Sykes has already gone through with the an initial test. The samples he has so far have tested to not be human. We have it on good authority that Dr. Bryan Sykes has not even begun testing on his Bigfoot DNA study. This is from two independent sources that have heard this firsthand from Dr. Sykes Himself. When Dr. Sykes begins testing he will do the initial screening with mtDNA (Mitochondrial DNA) loci. In other words and in plain English, he going to start with the DNA that is inherited by the mothers. This makes sense since he literally wrote the book on Mitochondrial DNA. 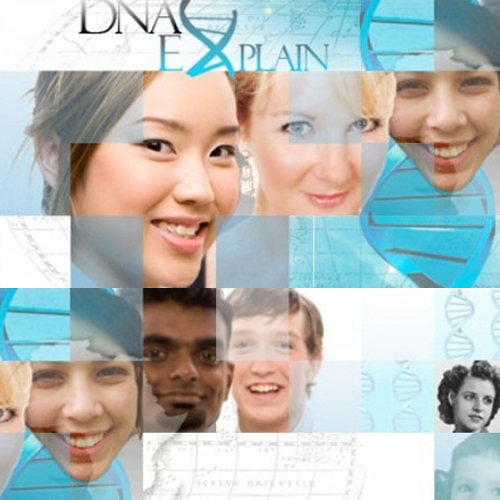 In Dr. Bryan Sykes' book, "The 7 Daughters of Eve, " Dr. Sykes uses mtDNA to determine that all modern Europeans can be traced back to seven distinguished groups. It is a book worth reading, since the last third ends with fictional scenarios of how the 7 daughters might have lived. Over all we wanted to report that Bryan Sykes has not begun testing and when he does, he will start with the mitochondrial DNA (mtDNA), which only reveals information from the mother's side. Michael JR Jose, in a review of Dr. Sykes book makes an interesting note, "[mtDNA] has number of key characteristics which make it an excellent biological clock (which 'ticks' once every ten thousand years). The oldest genetic line goes back 45,000 years and the most recent 10,000. This is not the outcome we had hoped for, but one we had hinted at. Dr. Melba Ketchum's Bigfoot DNA study has been rejected for publication. It may not have even made it to the peer review process, meaning it could have been rejected by journal editors before they even assigned a peer-review team. Igor Burtsev, head of the International Centre of Hominology, is the man who initiated the media frenzy by prematurely "leaking" the study to the public. Dr. Burtsev is also the same man who announced the non-publication of Dr. Melba Ketchum's Bigfoot DNA study. The REVISIONS HAVE BEEN DONE AND THE JOURNAL HAS THEM NOW. They are now reading the paper. I have read the paper myself it is very indepth. and long. Extremely scientific. This is why it is talking so long...Also this is a topic never been done before. All this adds up to taking alot longer to approve." Lucy and the football comes to mind. We knew getting a Bigfoot DNA paper published would be a challenge. According to Katrina Kelner, a Science magazine editor, "At Science, we have to reject more than 90% of the papers submitted to us." This is why Dr. Melba Ketchum's execution and communication had to be flawless, it had to be held to a higher standard--there were too many expectations and too many personal efforts on the line. In our opinion, if Dr. Melba Ketchum had realized this project was bigger than herself, the outcome would have closer to the one we had hoped for. Unfortunately it is Not Over. Like a bad breakup, where on side rejects the other and then the rejected one says they were never interested in the first place. We see a similar analog here. It seems Dr. Burtsev, is almost saying, "Science doesn't like us, we don't think science is worthy." We are paraphrasing so let's use Dr. Burtsev's own words from his Facebook post. The problem is that some people absolutize the science. Unfortunately science now is too conservative. One third of the population of the USA believes in BFs existing, but academic science even does not want to recognize the problem of their existing or not, just rejecting to dicuss [sic] this question. In such a condition this subject is under discussion of the broad public. We can't wait decades when scientists start to study this problem, forest people need to be protect now, not after half a sentury [sic], when science wakes up. There is another camp that is trying to do Bigfoot DNA research. It is the Oxford-Lausanne Collateral Hominid Project headed by Bryan Sykes (read: Everything You Didn't Know About the Bryan Sykes' Bigfoot DNA Research ). The Oxford-Lausanne/Sykes project is taking a different approach, instead of hinging the research on a peer-reviewed paper, the results will be distributed in multiple formats. According to Rhettman Mullis, founder of Bigfootology, "do not forget that Sykes is also turning this project into a book and the BBC have stated they are going to film a three hour documentary (one hour segments) on the Sykes' project." Now you know it is really news. CNN had picked up the Bigfoot DNA study that claims Bigfoot is part human. The choice of mashing up the Melba Ketchum Bigfoot DNA study and the TV show Finding Bigfoot is ironic (perhaps even amusing) to most Bigfooters. Matt Moneymaker, co-host on Finding Bigfoot, has been very vocal, most recently on twitter, about his lack of confidence in Melba Ketchum's Bigfoot DNA study that claims Bigfoot is part human. Below are some choice tweets from BFRO founder and Finding Bigfoot's co-host, Matt Moneymaker. @chucker58 @Zite I think the DNA study in Texas will be exposed as a hyped up publicity stunt and scam. I've been monitoring it for a while. Bald-faced mendacity of Melba Ketchum. She told Lee Speigal the DNA samples "came to me. I didn't go after them, that's for sure." Bullsh*t.
More than 5 years ago she pitched her BF DNA testing to the producer of Monsterquest, and later pitched herself to the producers of MY SHOW! Yes, she received a few legit samples but her "DNA analysis" and documentation was a sham and a scam. She made ridiculous excuses for years. @FatherBruceW When hoaxers and charlatans succeed it getting news media attention, they can use the attn to swindle people who want to help. @CharbyPaul All three of those guys [Paulides/Randles/Carpenter] are dealing w/ Melba because she is telling them exactly what they want to hear about their own samples. The only silver lining to Melba Ketchum's scam: It helped encourage Dr. Sykes at Oxford (England) to seek BF DNA samples. He is very legit. 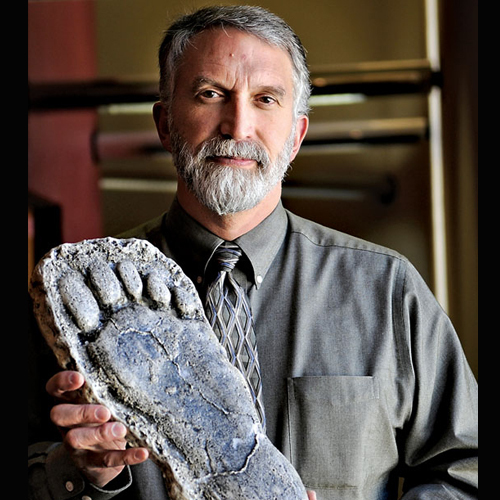 Dr. Jeff Meldrum is the highest profile scientist and academic when it comes to Bigfoot research, he is an Associate Professor of Anatomy and Anthropology and Adjunct Associate Professor of the Department of Anthropology at Idaho State University. His book, a companion to the Documentary of the same name, "Sasquatch Legend meets Science," is a must have in any serious bigfooters library. Believers and skeptics alike respect Dr. Meldrum's approach to the Bigfoot phenomena. Notable skeptic Brian Dunning has been quoted as saying, "The work of responsible scientists like Dr. Meldrum is exactly what true skeptics should be asking the Bigfoot community for, not criticizing him for it." Due to his credentials and popularity Dr. Meldrum has been showcased on maultiple networks including NatGeo, History Channel, and the Discovery Channel, this also includes TV shows including Monster Quest and the recent Finding Bigfoot. He is also involved in a parallel study of Bigfoot DNA. The study headed by Bryan Sykes of Oxford University. Recently Melba Ketchum has been in the spotlight due to her press release that claims Bigfoot may be part Human. Two days ago (11/27/2012) Dr. Melba Ketchum was interviewed and Dr. Jeff Meldrum commented on the interview on his Facebook Page. You can read his response right after the video below. Dr. Ketchum provides a much more reasonable interview for a Houston news program. She acknowledges the prematurity of the announcement (I believe she could have stopped short of discussing her unpublished results, however). She does conclude by saying the publication is anticipated in a matter of weeks not months (we've heard that before, but I hope this time it is indeed accurate). Please don't get me wrong. I truly hope she has the brass ring. I want very much for her study to be legitimate and significant. To that end I want to see her navigate the publication process properly and successfully! My criticisms stem from the lack of available substantiation of her interpretation of the mtDNA results and the difficulty I have envisioning a scenario that accounts from what is proposed -- a hybridization event 15000 years ago in Eastern Europe that resulted in a population dispersed across North America. Many people don't seem to understand the role of a null hypothesis (a working hypothesis). The aim is to attempt to falsify or refute it. The hypothesis that whatever is out there is likely a relict ape, or a relict early hominin (e.g. Paranthropus) appears the most reasonable in light of the substantive objective data (personal subjective experiences by some, notwithstanding). Melba even acknowledges this fact in her interview. If evidence, properly interpreted, overwhelmingly negates the null hypothesis, then we set it aside -- simple as that. The notion of "camps" as if they were political parties, has no legitimate place in a scientific endeavor. I am anxious to see the results -- whatever they are! Apparently earlier this week (Monday November 26th, 2012) Scott Sandsburry of the Yakima Herald contacted Melba Ketchum and got her to comment on the 50-page manuscript that has documented her study and, as she claims, supports the idea that Bigfoot is part human. The excerpt below contains just the quotes from Melba Ketchum. The article does contain further quotes from Melba Ketchum's surrogates. One in particular is a quote from Thom Cantrall. The release of Ketchum’s findings, Cantrall said, is “igniting a war” among different factions in the Bigfoot-believing community — those adamant that the creature is an ape or gorilla, and those who are convinced it’s more human than not. We can report that there is no war. The debate Cantrall is referring to is less about Bigfoot and more about whether the Bigfoot community accepts that humans are also apes. In other words, humans are apes and most likely Bigfoots are apes too. There is also a video interview done by a local Texas news station here. The word peer review is in quotes in the title, because we are using it ironically and with reservation. We do not mean peer review in the scientific publication sense. We do mean, however, that scientific peers are interested in Dr. Melba Ketchum's Bigfoot DNA Press release. We have reactions from an invertebrate neuroethologist, a genome informatic expert, a DNA lab owner, and a professor of microbiology. 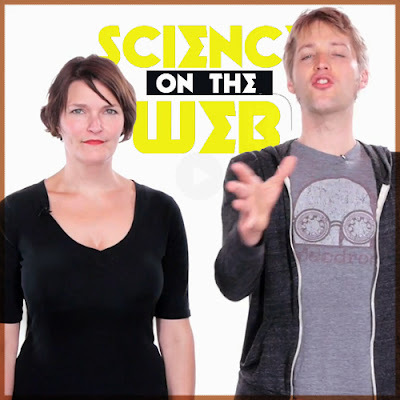 There is a great consensus among these academics, they seem to have two reactions. While intriguing, the press release seems pre-mature and the timing seems odd since the manuscript has not been published and the peer review has not been completed. Dr. Melba Ketchum does have credentials, let's hope it is legit. NeuroDojo, run by Zen Faulkes, is a popular award-winning neuroscience blog has this to say. It’s not just the subject matter of the press release that is strange, though. There’s the little fact that it’s for a paper that is in review, not one that has been published. Usually, papers in review don’t get press releases, because goodness knows Reviewer Number 2 has taken a lot of manuscripts out of contention and they never see the light of day. In fact, I have to admit: I am so pulling for Reviewer Number 2 to take this manuscript down. Preferably with sniper-style precision and finality. As one Twitter commenter said, this is something that most journal editors would not even send out for review. NeuroDojo, seems to also be rooting for Dr. Melba ketchum. That Ketchum is a published author on DNA techniques makes me think this is not a hoax. And I've smelled sasquatch hoaxes before...This feels much more like... overly enthusiastic interpretation, if I’m being charitable about it. It was irresistible. I had to read the release, and all I could think about was finding the Sasquatch Genome Browser. It eludes me right now. Oh, I can’t wait to see this paper. For a laugh I searched PubMed to see what kind of Bigfoot data there is already, and to my surprise he’s in there. Of course, the paper is about the psychology of monster hunters. And also about the tension between “amateur naturalists and professional scientists”. Roberta Estes founder of DNAeXplain was in yesterday's post, "DNA Consulting Company is Intrigued by Melba Ketchum's Bigfoot DNA." Her enthusiasm and caution for the the project is clear. There has been no smoking gun. If this research is valid and passes peer review, it not only confirms that Sasquatch is real, it vindicates many of the people who have had “sightings” over the years. It becomes the smoking gun. But as with much science, it raises more questions than it answers. Indeed, I look forward to seeing this published paper and I hope it is legitimate and not pseudo-science of some sort. And finally we got an email from Tyler A. Kokjohn, Ph.D., Professor of Microbiology atMidwestern University. It seems that we may have to wait for definitive information on the sequences. Clearly, many people are quite interested in the outcome and it is a bit frustrating to be teased...Please note that these questions can be answered without compromising the research paper now under peer review. Since the scientists elected to communicate with the public, they should be willing to offer clarifications and answer questions. Dr. Kokjohn had a series of fascinating questions that I would hope the Melba camp could answer. What method was employed to sequence the DNA? Some have interesting quirks. 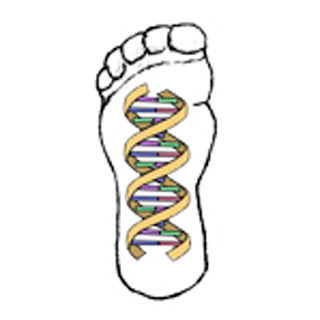 Which gene(s) were sequenced, i.e., which genes did you use to decide the Bigfoot relationship to humans? The statement was made that the mitochondrial genome is identical to human, but the nuclear DNA is distinct. Moreover, a 15,000 year divergence point is estimated. This is quite contrary to expectations. Usually, the genes in a mitochondrion will yield a ‘faster’ evolutionary clock than the nuclear genes (higher mutation rate), that is partially why mitochondrial genes are used for the rapid identification of species. It seems odd that the mitochondria sequence would be invariant. This requires an explanation. How deep was the sequencing of the genes in question? To get at infrequent mutations, one must have gone over the same DNA multiple times to reach an accurate consensus. A single pass sequence will have many errors in it and comparisons based on it may inflate the apparent evolutionary distances. This is vital because Bigfoot and human sequences will be (apparently) VERY closely related. To get a feel for the challenges of working with closely-related species, search the work of Svante Paabo with Neanderthal DNA on PubMed. Are the gene(s) you used for the Bigfoot-human comparisons protein coding? Would the sequence changes you found in the homologous genes yield amino acid codons that are synonymous (no amino acid change), substitutions (new amino acids) or nonsense (protein chain terminated)? This can help one decide whether or not the new sequence makes sense or contains deletions/insertions and other errors. What was the nature of the sample from which DNA was obtained? Had it been exposed to the elements? How do you know it is from Bigfoot? If the sample is degraded, DNA sequences will likely exhibit alterations. How did they avoid contamination with authentic human DNA? So, in a manner of speaking, this is as close to a peer review for now. These are the initial reactions and questions of well-respected authorities; an invertebrate neuroethologist, a genome informatic expert, a DNA lab owner, and a professor of microbiology. More questions then answers? What did the late Richard Stubstad know? Richard Stubstad claims to have worked on the first four of the 20 sequences Melba mentions in her press release. Thanks to Thom Cantrall for bringing this to our attention. dna-explained.com is a blogging channel for DNAeXplain, a DNA genetics consulting company that offers individual written analysis of DNA results. While we have had opinions from Ketchum proponents and Ketchum detractors, Bigfooters and non-bigfooters. We haven't had an independent DNA expert react to the Melba Ketchum Bigfoot DNA press release. Roberta Estes asks some very interesting questions and shed some insight to what Melba Ketchum may be saying between the lines.Her first questions are in the excerpt below. This begs several questions. Is all of the mitochondrial DNA the same, inferring a single maternal ancestor? They have sequenced 20 different mitochondrial samples. Given that the mitochondrial DNA is reportedly identical to that of modern humans, we can presume, one would think, that the mitochondrial DNA is Native American, so a member of haplogroup A, B, C, D or X. Hopefully the forthcoming paper will be more specific. There are subtle and not so subtle messages buried here as well. Obviously, for the team to acquire 20 samples to process, there has to be a population of these creatures living in North America. Of course, everyone has heard of Sasquatch and seen photos and videos, but until this, nothing has been terribly convincing. There has been no smoking gun. If this research is valid and passes peer review, it not only confirms that Sasquatch is real, it vindicates many of the people who have had “sightings” over the years. It becomes the smoking gun. But as with much science, it raises more questions than it answers. For example, are there any non-admixed Sasquatch progenitors left, meaning the males that founded the Sasquatch line with the human female? How would we tell the difference? This of course implies that some sort of pre-hominid species existed on this continent before Native Americans arrived from Asia and had existed separate from hominids for a long time. Is there other evidence of this creature in North America? You can read the entire post by Roberta Estes here. Sharon Hill is the editor of DoubtfulNews.com, it would not hurt our feelings one bit, if you jumped directly to her post titled, "Melba Ketchum announces Bigfoot DNA results. Without the data". 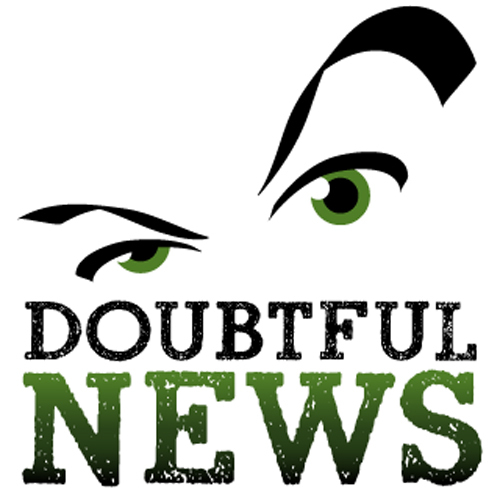 For the rest of you, let us tell you why Doubtful News is an important blog for bigfooters to follow. Unlike some of the other skeptics, Sharon Hill is extremely consistent in her critical thinking and arguments. Also unlike other skeptics, she does not pick low-hanging fruit to mock Bigfooters. The best reason to read Doubtful News is to get a fresh perspective, we have been challenged by Sharon Hill and feel we have been the better for it. You can get a taste of her style from the excerpt below lifted from yesterday's (11.25.2012) post, "Melba Ketchum announces Bigfoot DNA results. Without the data"
To make such an extraordinary claim is to put yourself out on such a long, unstable limb! It is not how science is done, it’s how pseudoscience is done. But, let’s just say that Dr. K has results and is confident in them. She sure is in a pickle now because there is still NO paper and no hint of when or where it will be published. Much is going on behind the scenes that the interested public is not privy to. To be practical, this announcement gets us absolutely NO further to a Bigfoot discovery than yesterday or the day before. It’s still vaporware. No paper, no data, no body, no Bigfoot. Read the rest at Doubtful News: "Melba Ketchum announces Bigfoot DNA results. Without the data". Dr. Melba Ketchum head one of the two major Bigfoot DNA projects. Most likely due to yesterday's events. Today (11.24.2012), on her official Facebook page, Dr. Melba Ketchum posted a press release based on the Bigfoot DNA project she has been working on for the better half of the last decade. In the release Dr. Melba Ketchum announces the sequencing of Bigfoot DNA, she notes that the nuclear DNA is human, there are also NON-human and NON-apes in the DNA. Read the whole thing below. In fairness, this information HAS NOT been peer reviewed, and even if the results are as they claim, the response does not reflect the majority of Bigfooters. 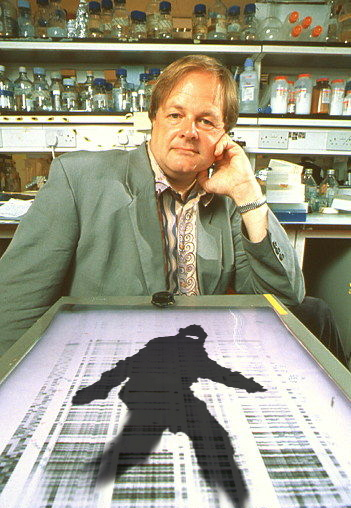 There is also a parallel Bigfoot DNA study being done by Bryan Sykes of Oxford University that will have published peer-reviewed results early next year. Also to be fair, at Bigfoot Lunch Club, we have been fairly critical of Dr. Melba Ketchum's approach read "Melba is a no show, then Literally Phones it in" and "Melba Ketchum Has a History of Failing to Deliver DNA Results". None the less, we still look forward to her results AFTER they have been peer-reviewed. 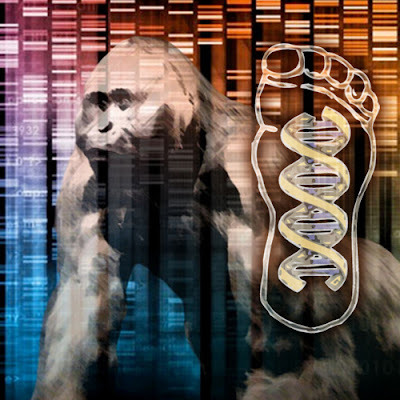 DALLAS, Nov. 24--A team of scientists can verify that their 5-year long DNA study, currently under peer-review, confirms the existence of a novel hominin hybrid species, commonly called “Bigfoot” or “Sasquatch,” living in North America. Researchers’ extensive DNA sequencing suggests that the legendary Sasquatch is a human relative that arose approximately 15,000 years ago as a hybrid cross of modern Homo sapiens with an unknown primate species.